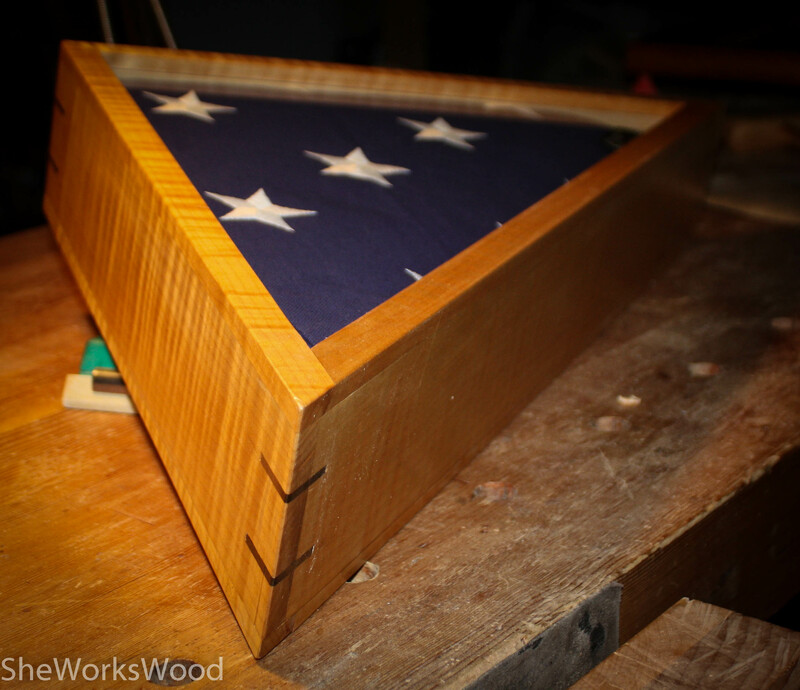 Flag box is done and ready for shipping to my mom for Christmas. 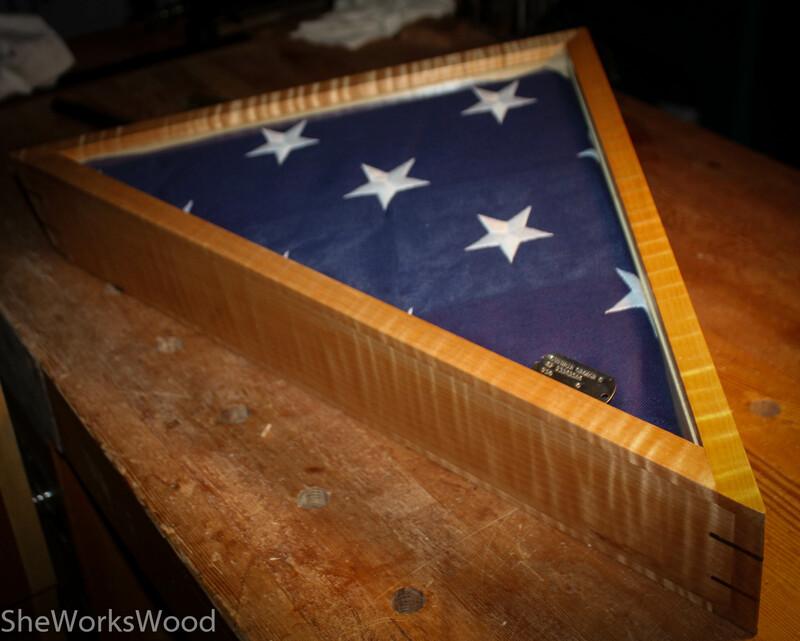 My dad’s memorial flag arrived and after a few attempts we got it folded and fit into the box. A view from the edge. 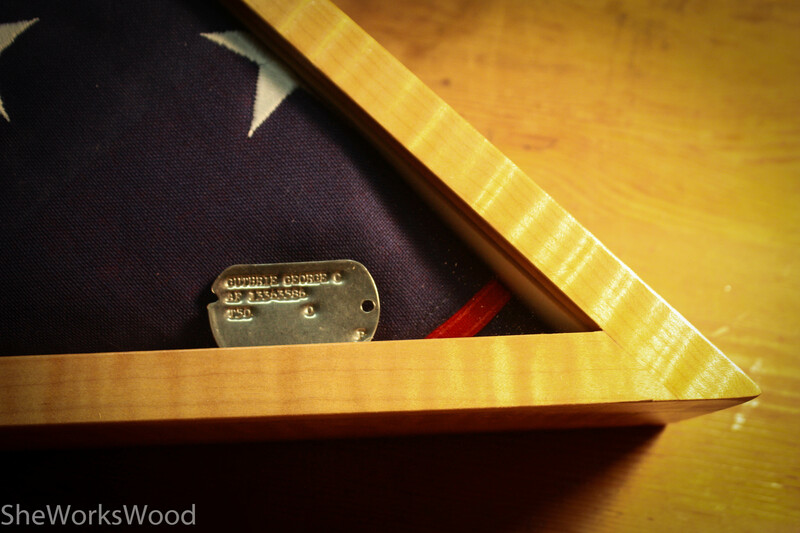 This entry was posted in Flag Box and tagged Flag Box. Bookmark the permalink. That’s very nice and I am sure it will mean a great deal to her. Thanks all! I think it will mean a lot to her. Really nice Marilyn, it would have been special if you had a chance to share woodworking with your dad – that really caught my attention as my parents are visiting this weekend. I’m sure two bright, cheerful eyes are smiling down upon that box.